One of Del Mar’s new bets this summer has had a healthy bonus factor tied to it that might provide a racing fan with a million-dollar payoff when the seaside oval gets off and running for its 79th summer this Wednesday – the .50¢ late Pick Five on the day’s final five races. The wager will provide for a “bonus” $1-million payout on Saturdays and Sundays – or a “bonus” $500,000 payout on weekdays – to any fan holding the lone winning ticket on the exotic bet. Del Mar had introduced the single ticket “jackpot” concept to its Pick Six bet in the fall of 2016 which led to some life-changing payouts on that wager. The Late Pick Five “bonus” bet, while not quite the same, also carries the potential for powerhouse payoffs. The bet ensures a minimum payout of $1-million (weekends) or $500,000 (weekdays) to a lone ticket holder. So in the scenario where a fan is the only one to tab the last five winners on a Saturday and the late Pick Five payout amounted to $650,000, Del Mar would pony up an additional $350,000 to make the $1-million “bonus” payout prove true. A similar scenario could unfold during the week where Del Mar might add extra monies to the payout to assure a minimum $500,000 prize is reached by a lucky single ticket holder. Closing day at the meet – Labor Day Monday, September 3 – will be treated as a weekend day and a $1-million late Pick Five “bonus” will be in effect that afternoon. Besides the late Pick Five, Del Mar also will feature this summer a new early .50¢ Pick Four starting on Race 2 each day and a $2 Win, Place, Show Parlay bet available for a minimum of two, and a maximum of six, races. The single ticket “jackpot” bet on the Pick Six once again will be in play throughout the 36-day stand. Last summer a single ticket holder cashed in for $603,613.80 on the wager on August 2. Racing will be held on a Wednesday through Sunday basis throughout the summer. First post is 2 p.m. for all days but Friday when they’ll be off and running at 4 p.m.
LEXINGTON, Ky. (Sunday, July 31, 2016) – – A $3 million National Handicapping Championship (NHC) Tour bonus – the largest prize ever offered in the handicapping contest world – will be awarded to any horseplayer who wins the Breeders’ Cup Betting Challenge (BCBC) November 4-5 and the Daily Racing Form/NTRA National Handicapping Championship (NHC) next January 27-29, the NTRA and Breeders’ Cup announced today. The “NHC Tour $3,000,000 Double” starts with the $1 million-estimated BCBC, a lucrative live bankroll contest with a $10,000 buy-in, and continues with NHC 18, the world’s richest and most prestigious handicapping contest, worth an estimated $2.8 million in cash and prizes. The bonus was first announced during today’s NBC broadcast of the $1 million Betfair.com Haskell Invitational from Monmouth Park in Oceanport, N.J.
Last year’s BCBC winner earned more than $300,000 and first prize at the NHC is $800,000, meaning that successful completion of the NHC Tour Double would be worth more than $4.1 million. Participating individuals must be a member of the NHC Tour ($50) to be eligible to win the lucrative bonus. Now entering its eighth year, the $1 million-estimated BCBC has become one of the most sought after prizes on the tournament calendar. The BCBC, which offers 15 seats to the NHC in addition to cash prizes, is a highly lucrative and exclusive live bankroll handicapping contest with a $10,000 buy-in required to participate. Players enjoy first class access to the two best days of racing in the world with VIP seats that include buffet lunch each day and other amenities. Online and on-site qualifying tournaments, offering $10,000 berths into the BCBC as prizes, continue throughout the summer and fall leading to the November Breeders’ Cup. 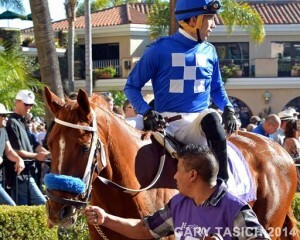 For more on the BCBC, visit breederscup.com/bcbc. Qualifying for NHC 18 continues through January in scores of contests held on-site and online. 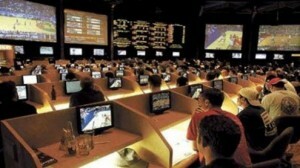 Next weekend’s contest menu includes a Free-to-Play NHC online contest at NHCqualify.com offering four spots to the NHC. For more information on the NHC Tour and a complete contest schedule, visit NTRA.com/nhc. 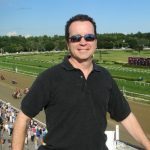 In its 18th year, the NHC is the most important tournament of the year for horseplayers and is the culmination of a year-long series of NTRA-sanctioned local tournaments conducted by racetracks, casino race books, off-track betting facilities and horse racing and handicapping websites, each of which sends its top qualifiers to the national finals. There are no bye-ins to the NHC. Each year, the NHC winner joins other human and equine champions as an honoree at the Eclipse Awards. In addition to the founding title sponsor, the NHC is presented by Racetrack Television Network and Treasure Island Las Vegas. The NTRA, based in Lexington, Ky., is a broad-based coalition of more than 100 horse racing interests and thousands of individual stakeholders consisting of horseplayers, racetrack operators, owners, breeders, trainers and affiliated horse racing associations, charged with increasing the popularity, welfare and integrity of Thoroughbred racing through consensus-based leadership, legislative advocacy, safety and integrity initiatives, fan engagement and corporate partner development. The NTRA owns and manages the NTRA Safety and Integrity Alliance, NTRA.com, the Eclipse Awards, the National Handicapping Championship, NTRA Advantage, a corporate partner sales and sponsorship program, and Horse PAC, a federal political action committee. NTRA press releases appear on NTRA.com, Twitter (@ntra) and Facebook (facebook.com/1NTRA).